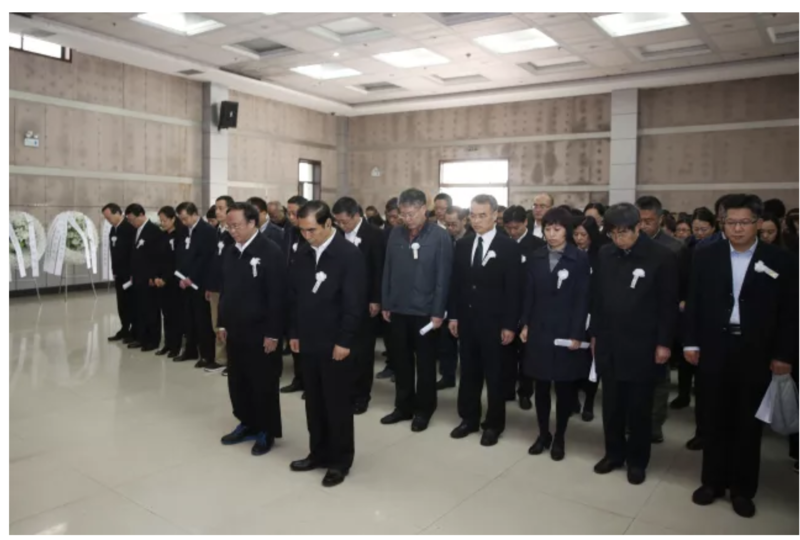 While Party leaders (including Supreme People’s Court (SPC) President Zhou Qiang) were attending the 19th Communist Party Congress, tragedy again struck the Chinese judiciary. Supreme People’s Court (SPC) Judge Fang Jingang, who was working in the #4 Circuit Court in Zhengzhou, succumbed to a heart attack at the age of 51. Joining the dark-suited crowd pictured above (his circuit court colleagues and selected current and former senior personnel from Supreme People’s Court (SPC) headquarters and elsewhere, including his former superior Jing Hanchao, now deputy secretary of the Central Political Legal Committee ) in spirit was a large crowd of former colleagues and friends, located in China and abroad who were unable to attend the funeral in person. Judge Fang can be considered a symbol of the new generation of elite Chinese judges. He spent many years in the local courts as well as the SPC and also spent time abroad. 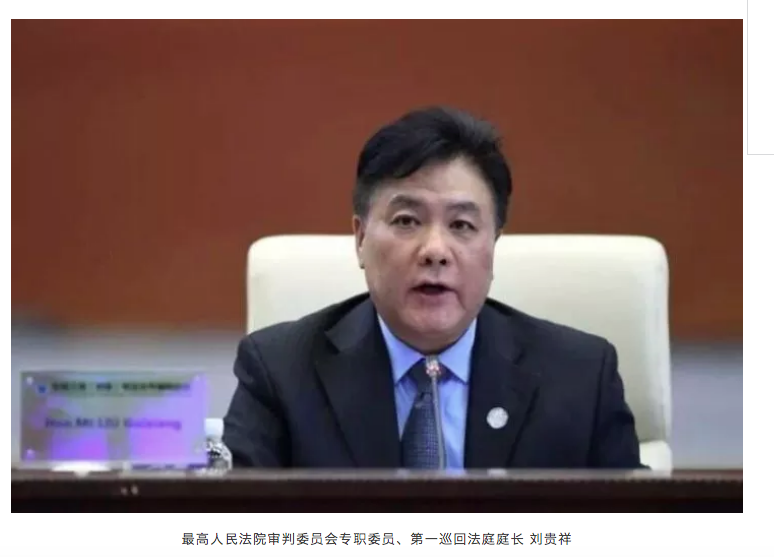 Like many of his colleagues, he had a PhD, and had worked in Hunan courts before being recruited to the SPC, initially to the Institute of Applied Jurisprudence and SPC’s judicial reform office. While at the Institute and thereafter, he and colleagues translated foreign materials (including several year-end reports of the federal judiciary) for internal reference and publication and he continued to research and make use of foreign law. 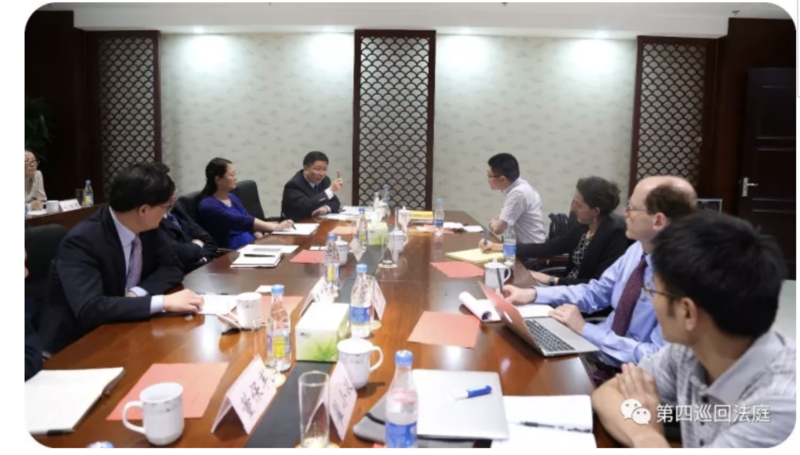 He also spent several months at Yale Law School as a visiting scholar and as a result made friends among the Chinese law academic community in the United States (and continued to keep up with English language news, presumably from foreign sources). After he returned to China he transferred to the “front line”–to the SPC’s case acceptance division and #2 civil division and was also sent to work in Tibet’s Higher People’s Court for three years under the SPC’s “assist Tibet” program. 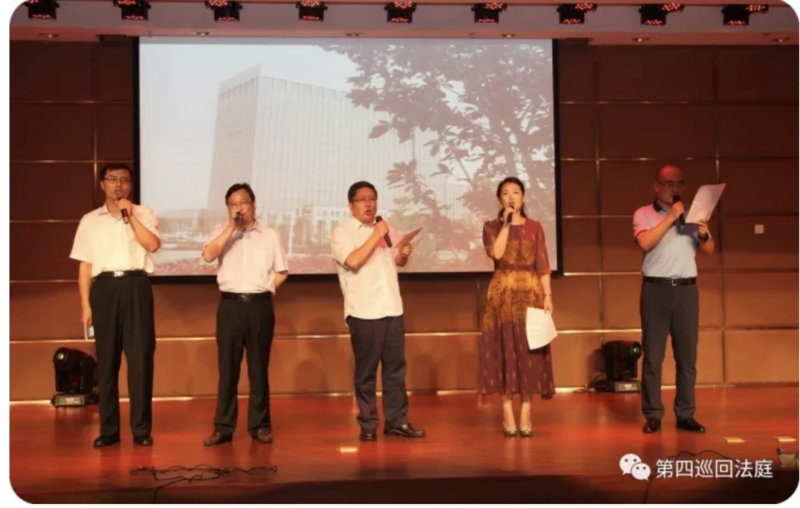 While at the #2 civil division, he was part of the team of people drafting the #4 Company Law interpretation and has been at the #4 Circuit Court in Zhengzhou since the beginning of this year. He continued to work with his #2 civil division colleagues on the Company Law interpretation and somehow find time to write articles on the interpretation, including one comparing US corporation law with the new Company Law interpretation, the latter published posthumously. Query whether Judge Fang’s death might indicate that the SPC’s circuit court model is too “lean and mean.” Statistics issued by the SPC in August indicate that almost half of all cases accepted by the SPC in the first half of this year have been accepted by the circuit courts, meaning that circuit court judges are under extreme pressure to deal with cases that are complicated/involving large amounts in dispute on time, and discrete inquiries indicate that many are working weekends and into the night. Like Fang, many of them who were involved in judicial interpretation drafting when working at SPC headquarters continue to provide input to the work of their colleagues at SPC headquarters and are pulled into other research and writing projects. And like Fang, working in a circuit court means that they away from their families.